Welcome to the 1st annual Hats off to the West Coast! This event is the CELEBRATION of the hat, from the humble knitted cap to the piece of wearable art! 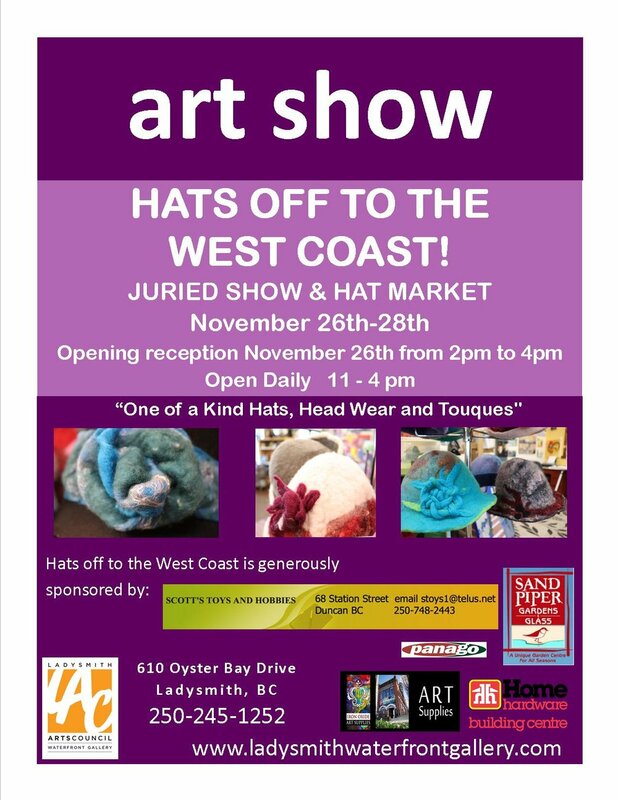 Join us for the 1st annual Juried Hat Show & Hat Market at the Ladysmith Waterfront Gallery. This is a show to celebrate the hat, from the humble knitted cap to the piece of wearable art. Thank you to Panago for sponsoring all the food at the opening reception.